Happy Monday! 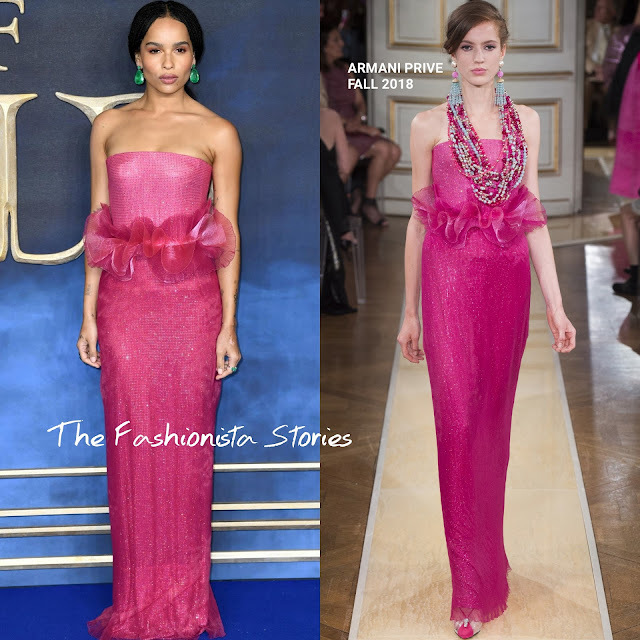 Coming in with the most votes for Best Dressed Fashionista of the Week, is Zoe Kravitz in Giorgio Armani Prive Fall 2018. In second, Tessa Thompson in Prada and in third, Janelle Monae in Jean Paul Gaultier Fall 2018 Couture.